The Akwa Ibom chapter of the Peoples Democratic Party has scheduled a special caucus meeting for Saturday (yesterday) in Uyo, the Akwa Ibom state capital to reconcile the Senate Minority leader, Godswill Akpabio with the State governor, Udom Emmanuel over political impasse. The meeting, expected to take place at Government House, Uyo, in the evening, will have in attendance National Assembly members from the state, state lawmakers, the PDP national officers from the state, and one-party chieftain from the 31 local government areas of the state, among other statutory members of the caucus. Top on the agenda, DAILY ASSET learnt, is the political feud between the state governor, Udom Emmanuel, and his godfather, Godswill Akpabio, which has caused tension within the party in the state. Mr. Emmanuel and Mr. Akpabio, the Senate Minority Leader, are expected to be at the meeting. Both men would be meeting for the first time since their feud became public more than two weeks ago with the governor brazenly warning Akpabio over security implications of his action. The chieftains of the PDP in Eket Senatorial District, where the governor comes from, have before now held separate peace meetings with both leaders. The senator said at the meeting that he did not at any time disparage the governor and that he was only trying to pass information on concerns raised by his constituents which he said had to do with the state of insecurity in Ukanafun, the non-completion of the Uyo-Ikot Ekpene Road and the non-usage of the Four Point by Sheraton Hotel in Ikot Ekpene. He also said that he and other leaders from Ikot Ekpene Senatorial District were satisfied with Mr. Emmanuel’s explanation on the status of the projects when they subsequently met with the governor at the Government House the following day. “I have learnt my lessons and I want everybody to learn their lessons from what has happened,” the source quoted the senator to have said in the meeting. Governor Emmanuel, on his part, was said to have narrated to the party chieftains how he was humiliated repeatedly in the past by Mr. Akpabio. “It’s like the governor was keeping quiet over a lot of things in the past, so this particular one was like the boiling point for him. So, he is deeply angry. He told everybody, that even the best genius, has some element of madness in him,” the source said. The party chieftains from Eket Senatorial District were led by a former Minister of Lands, Housing and Urban Development, Nduese Essien. The peace move by the district is in contrast with the position of the party chieftains from Uyo Senatorial District who a few days ago accused Mr. Akpabio of trying to blackmail the governor. 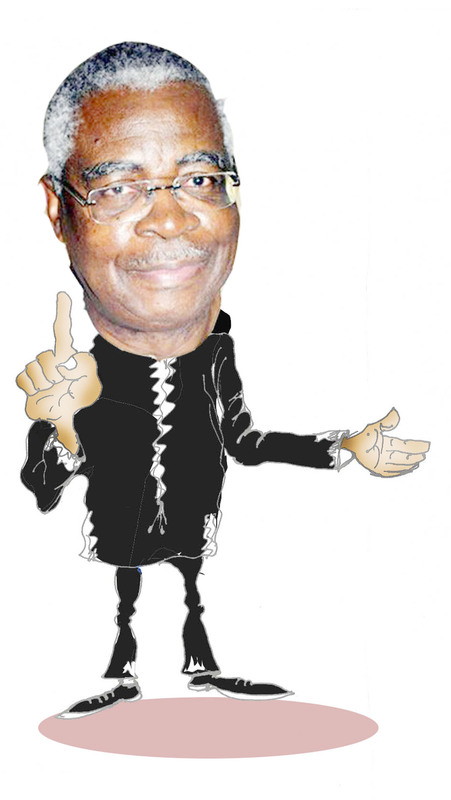 “Reality must admit that Senator Akpabio in the eight years as Governor of the state did not even complete and commission one kilometre of road in the core oil producing areas of the state where Governor Udom Emmanuel comes from,” the Uyo leaders had said in a communique signed by a former military governor, Idongesit Nkanga and two former senators, Effiong Bob and Anietie Okon, among other persons. “In the interests of peace and unity, the Ikot Ekpene Senatorial District should caution Senator Godswill Akpabio to desist from making unfounded utterances intended to create ethnic conflicts in Akwa Ibom State to serve his personal benefit. “We debunk and disagree totally with the insinuation made by Senator Godswill Akpabio that ‘all is not well’ and declare boldly that it is well with us,” the Uyo leaders had said. Other sources close to the two camps also have it that the opposition All Progressives Congress (APC) in the state was couching on the fracas in deepening their tentacles across the three Senatorial district in readiness for 2019 general election.